Workplace Analysis What does it involve and why is it invaluable? The key to any successful design project is a clear understanding of needs – and the perfect outcome for all. In an office design context, workplace analysis is critical. 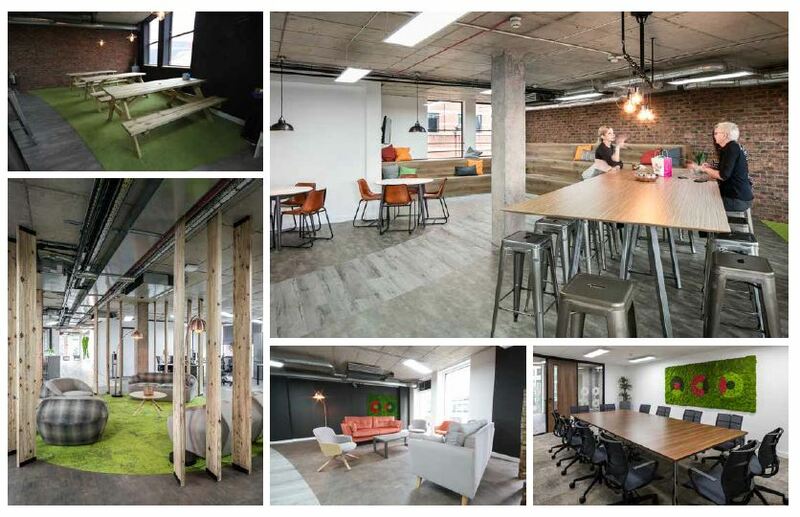 This initial engagement forms the basis of the brief and helps us to create the optimum, most efficient, practical and attractive space for your organisation. What does workplace analysis involve? We start with engagement and surveys with key members of your team, your staff and your stakeholders to find out about organisational structure and how departments work with each other. Elements such as culture, brand, people, processes, business strategy and technology are all vital when it comes to ensuring your new workplace supports everyone’s needs. Staff engagement underpins this whole process and determines the best outcome for all. 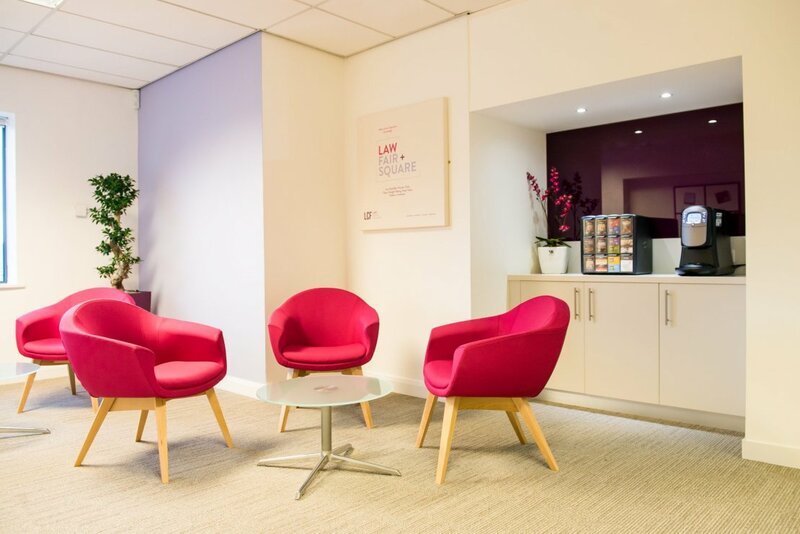 Many of our clients, including global giants CPP Group in Leeds and Mayborn Group in Newcastle, have moved to new headquarters or refurbished their existing offices in order to offer a spectacular working environment to attract and retain staff – and this has been stipulated clearly in their brief. Engaging with existing personnel during workplace analysis offers us a valuable insight into their ideal hopes and dreams for the perfect office. Brief taking sessions are initially held with a nominated representative from each department to determine the team and resource requirements. You then might take the decision to involve the wider teams by holding workshops, surveys, anonymous feedback sessions. 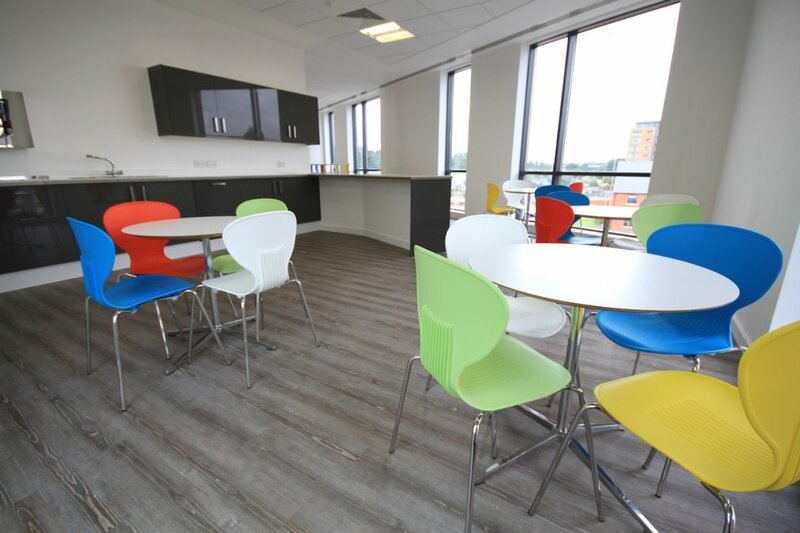 Staff engagement at this early stage is an excellent way of finding out exactly how your business, its culture and the workplace currently operate, as well as engaging and involving all staff in their new offices. We find that employees are usually more receptive and honest when communicating with an outside, independent company, than directly with their employer. This way we find out what’s really going on within the working environment, what’s working and what’s not. 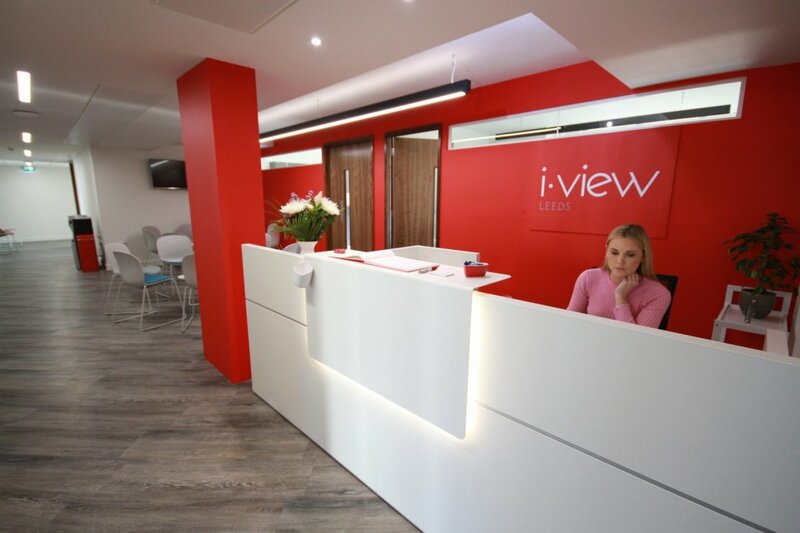 From staff feedback via Ben Johnson Interiors, the client can also consider how they can adopt better, more efficient and effective working practices and this often influences the new design and layout of their proposed workspace. An audit of existing furniture and facilities in the existing offices is also undertaken. This ensures essential requirements are allowed for in the new scheme and sizes of large copiers and other necessary equipment are accurately recorded. How is all this information presented and what do we learn from it? All the information captured is reflected in an organisational chart which graphically reflects all the requirements of the operational departments on a single, A1 sheet– in terms of headcount; expansion, storage, equipment and ancillary areas. It allows easy cross reference of information between departments, enabling us to establish each team’s ideal space requirement and the overall workspace area required for the operation. 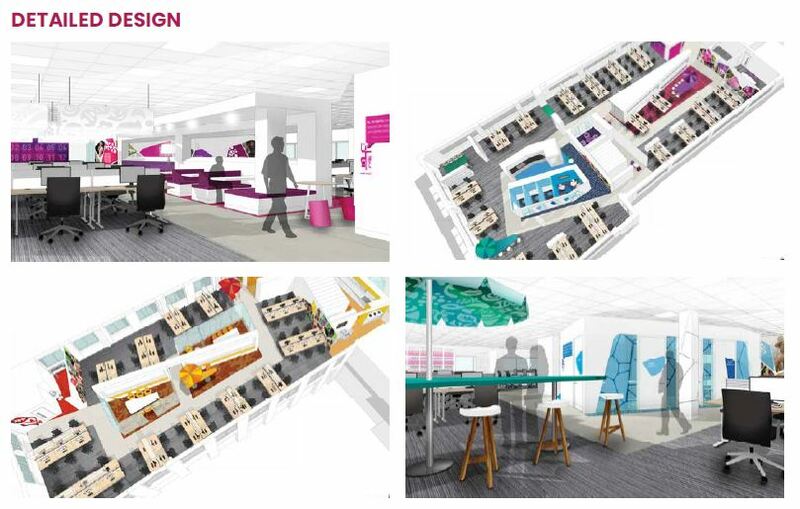 Space planning or space optimisation is the next part of our design process. 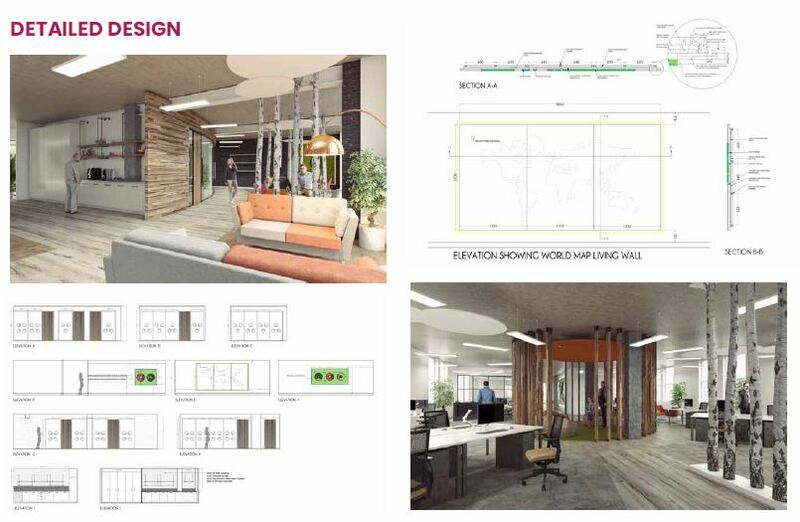 This will usually be presented in 2D plans or a birds eye view which helps everyone understand exactly how your space can be used in order to maximise square footage but also to allow easy movement of people, provide appropriate natural lighting and adopt new, more efficient working practices. Ben Johnson designers take inspiration from various sources, and we can create many different design styles for our clients. This ensures that we can find a look that is right for you, whether this be rustic, corporate, quirky, or just plain and simple. Subject to the wishes of the client, staff are consulted at every stage to gauge reaction. Unlike many interior designers, you’ll find we also keep things real. Balancing cost and aesthetics is critical for the success of your project. Our experienced estimators work with you and the designers to select the best finishes and fittings to suit your budget, design vision, functionality and environmental credentials. For LCF Law, Ben Johnson completed a workplace analysis involving interviews with key members of staff to understand their working practices. This covered meeting room facilities, storage requirements, access to printers and numbers of workstations, as well as team communication, noise control, ability to concentrate, collaboration and informal interaction. 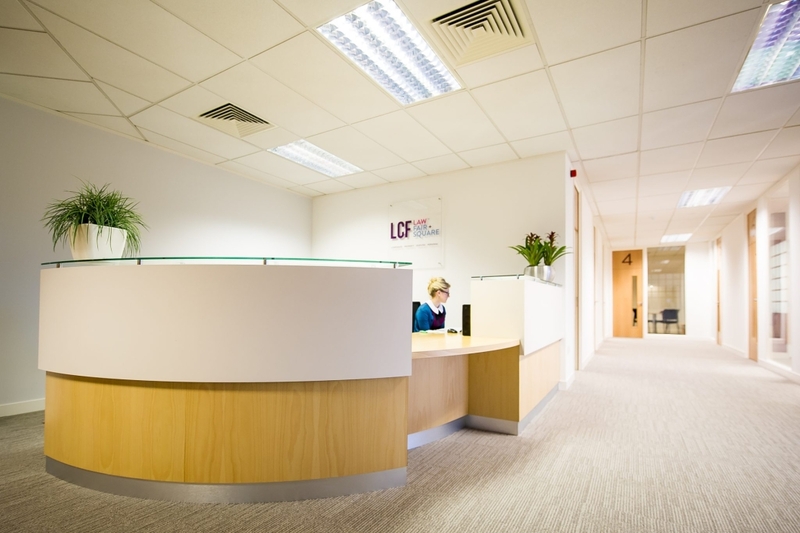 The analysis allowed us to generate a space requirement for the organisation, which LCF could then use in their search for alternative accommodation. 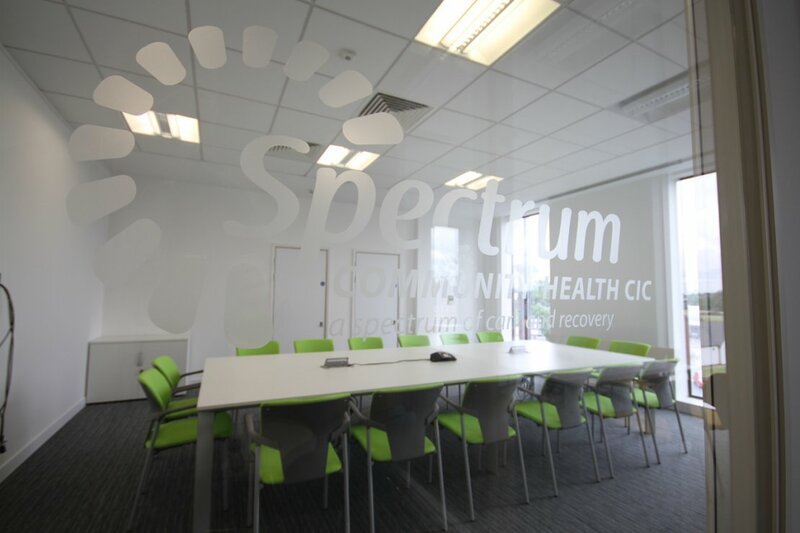 Ben Johnson Interiors were appointed to conduct a workplace analysis for Spectrum Community Health CIC which provides advice, care and treatment through a range of health and wellbeing services for people in Wakefield on behalf of the NHS. We needed to find the ideal type of workplace for a rapidly growing business and increasing numbers of itinerant staff. The majority of Spectrum’s workforce worked off site at client premises. They required an office that could provide a workstation when they had admin tasks and meeting spaces for collaboration or private briefing sessions. Ben Johnson Interiors carried out a series of audits and interviews to establish square footage requirements and enabled Spectrum to select two floors at Navigation Walk in Wakefield. 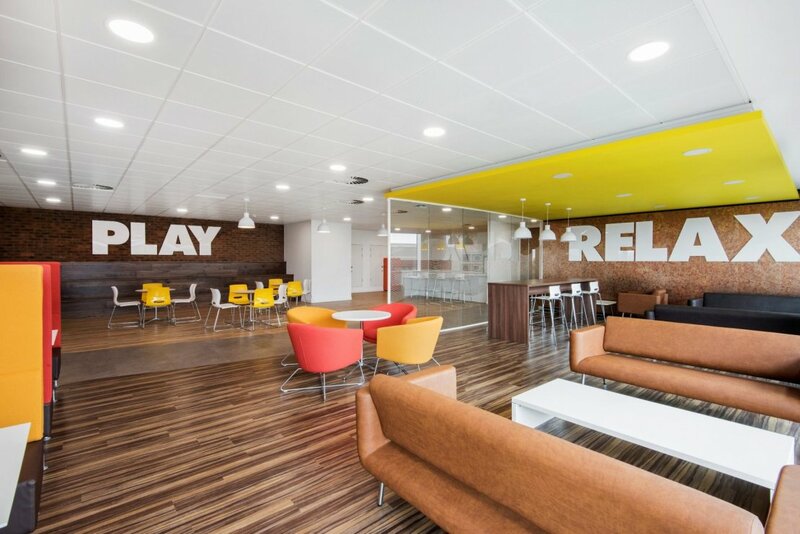 We then carried out design and fit-out, paying particular attention to acoustics, creating a large flexible meeting area and a stunning breakout zone. So, if you are considering moving your workplace, expanding into a larger area, refurbishing or upgrading an existing office, it is highly advisable to consider workplace analysis. 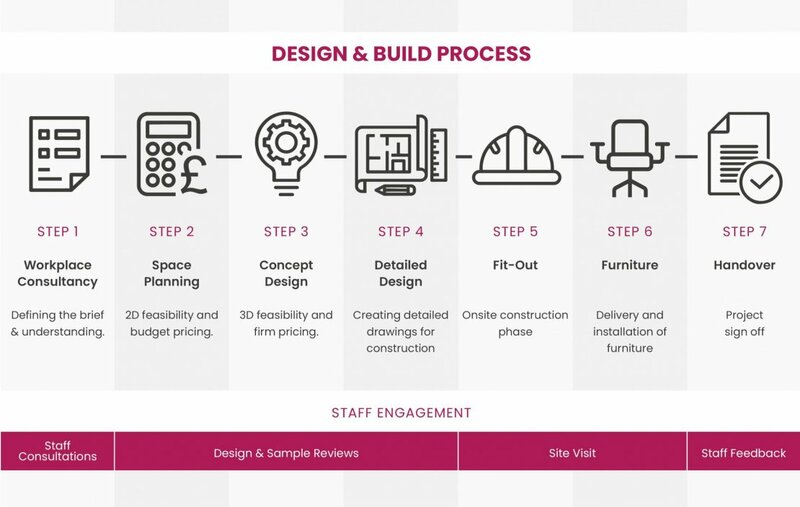 Engaging our workplace consultancy team in the early stages of your project will save you both time and money in the long run. 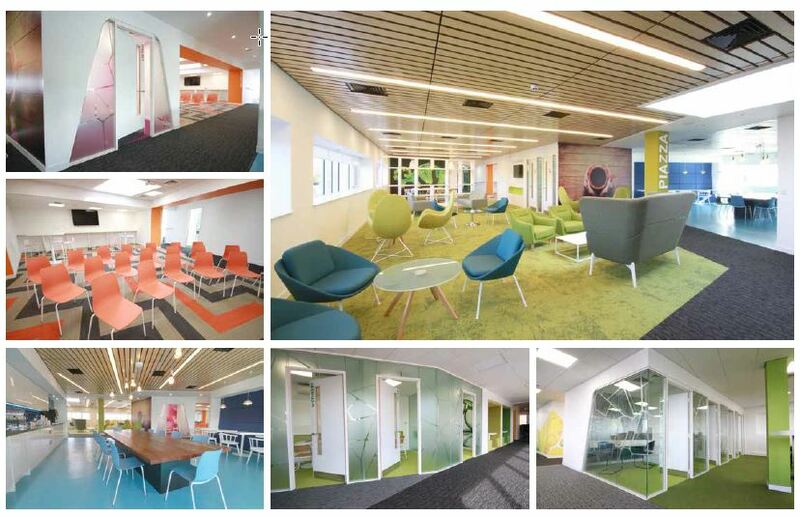 Through our vast project experience, we can offer impartial advice, challenge perceptions, introduce you to the very latest trends and technology, and encourage you to view your workspace differently – to meet your needs both now and in the future.